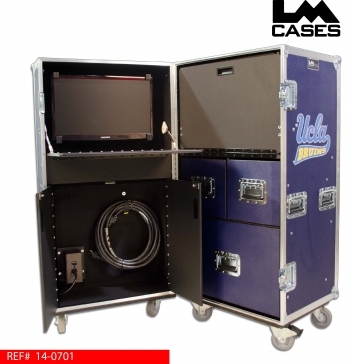 This trunk was designed for UCLA as a storage solution for their locker room that can also be brought on the road. 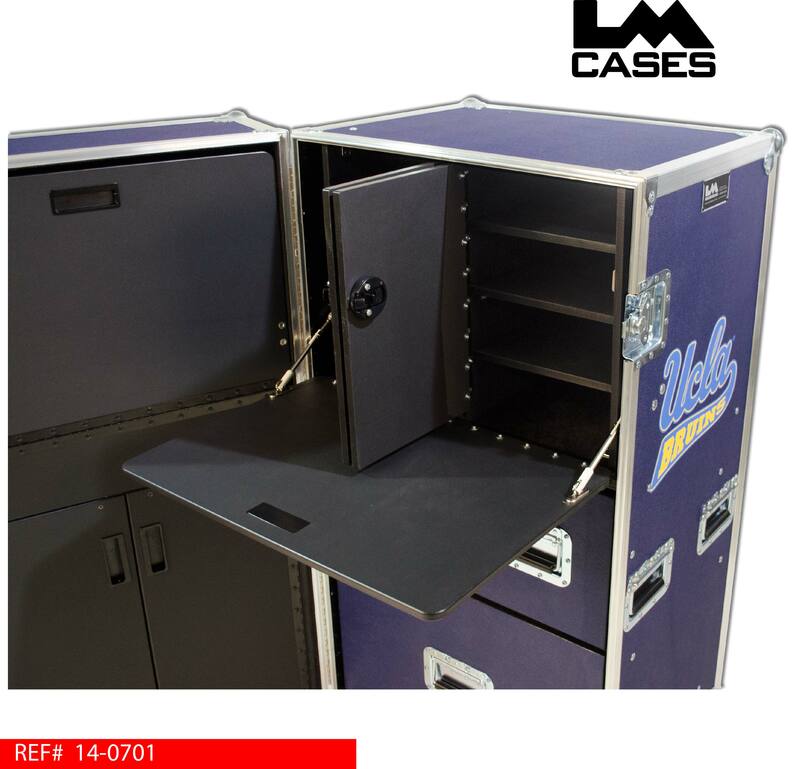 The trunk is split into 2 separate sides allowing for a variety of storage options. 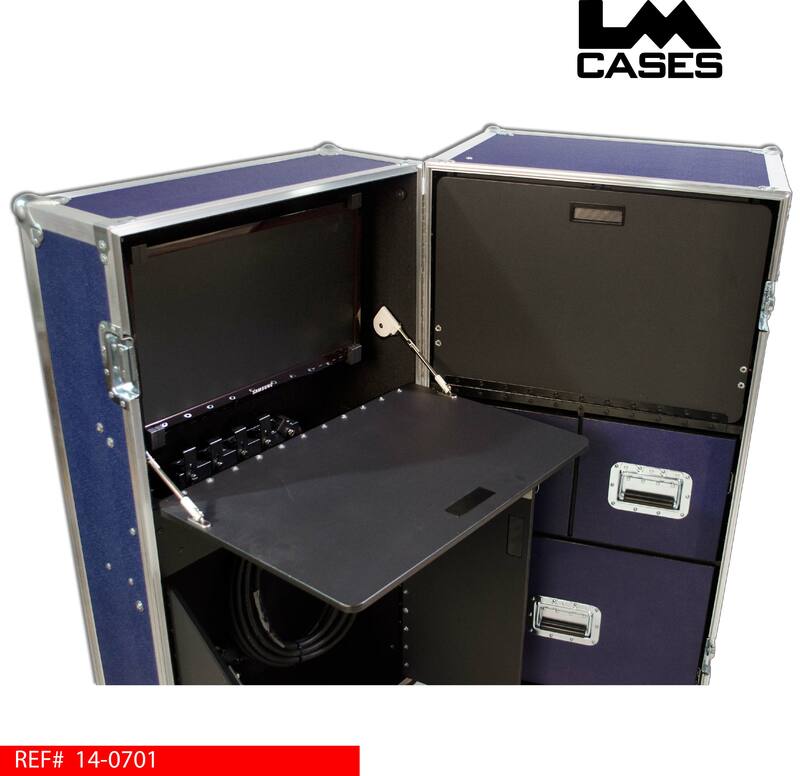 The left side features a drop down table that reveals a 22" LCD monitor when in the user position. 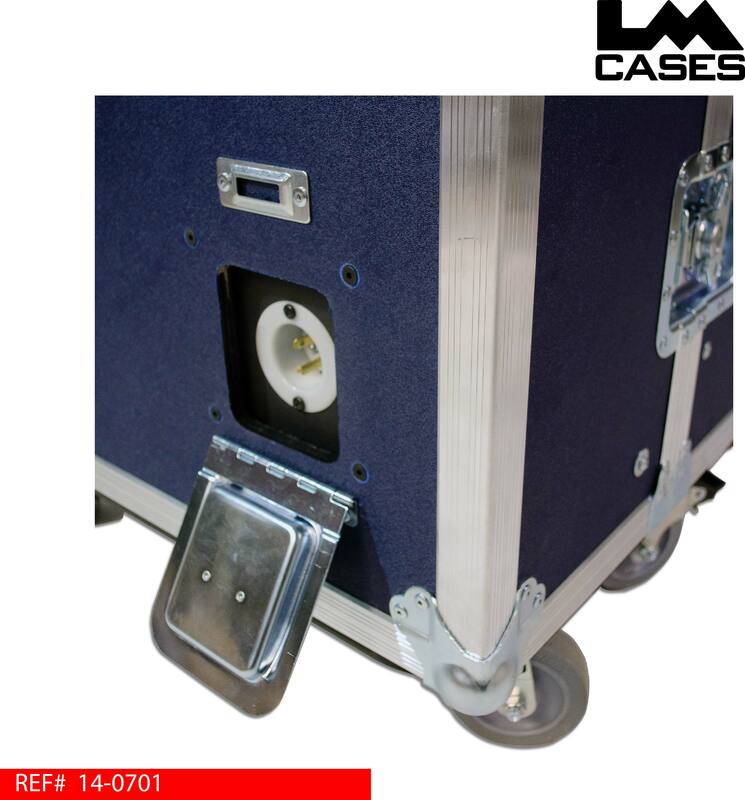 The monitor is mounted on a tilting Chief mount allowing it to be viewed from any angle, it also features integrated VGA & HDMI cables to allow different users to supply content to the monitor. Below the monitor is an open storage section that provides a home for a custom built 12awg extension cord and power inlet box that supplies electricity to the trunk. 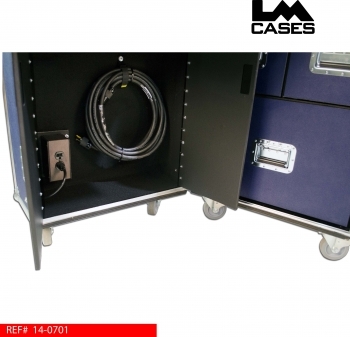 All electronics were provided and installed by the LM Cases Custom Integration Department. 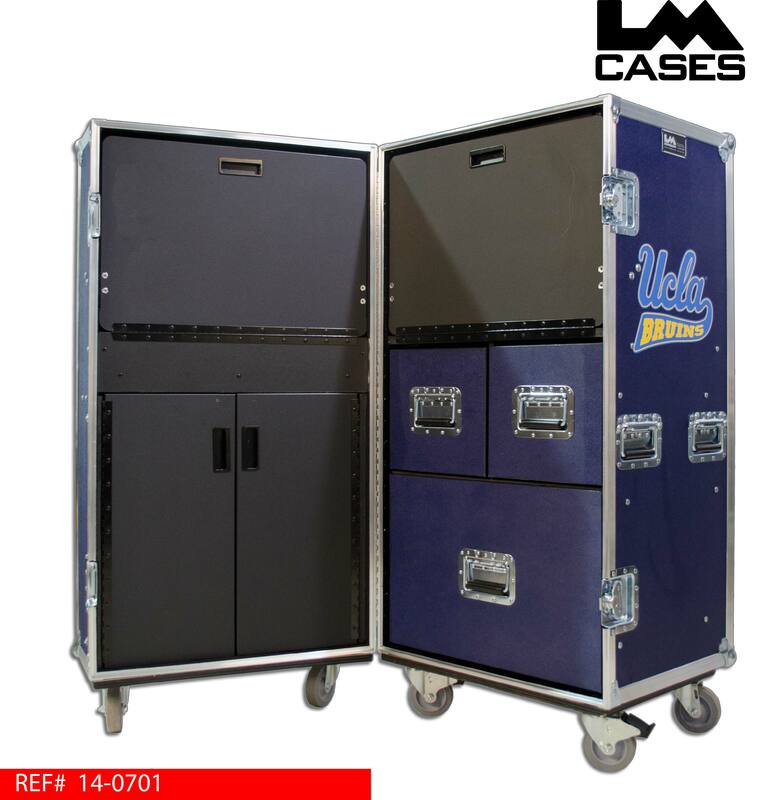 The right side features the same drop down table as the left, when opened; it reveals 2 separate storage cabinets. Below the top drop down table and storage cabinets are 3 open drawers for storage. 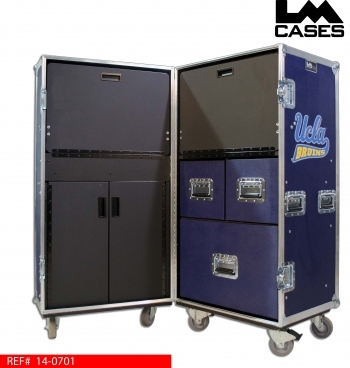 Each drawer is built out of 1/2" Baltic Birch and mounted on HD Accuride Glides. The trunk exterior is built out of 3/8" plywood laminated with dark blue ABS plastic. 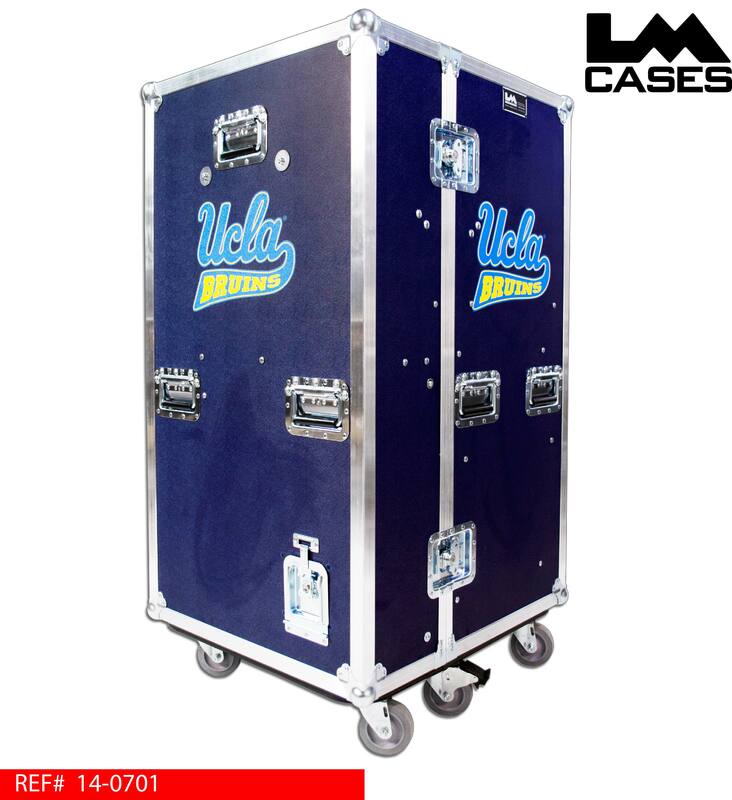 It features 4" Colson casters, deep recessed handles and a 2 color silkscreen of the UCLA logo.